Circumstances Have Drastically Changed in the Final Minutes: Will Article Seven Be Launched Against Hungary? The stakes are high, and invoking the article seven procedure could end in a suspension of Hungary’s voting rights in the EU. However, the process is complicated and tedious. Tomorrow’s vote about the Sargentini-report could have negative effects on Hungary’s reputation, as even Fidesz could potentially lose membership to The European People’s Party (EPP), resulting in a rearrangement of the European party-structure for next year’s election. Positions have changed a lot prior to today’s plenary session. Jaume Duch Guillot, the spokesperson of the European Parliament, stated during a press conference that the vote is going to be held under the usual procedural rules. Last week, many Fidesz members and experts concluded that abstention votes should be included in the final results. Fidesz also criticized liberals and the EP for changing critical rules right before the election, but other sources claim the abstention votes were never counted in the final tally. 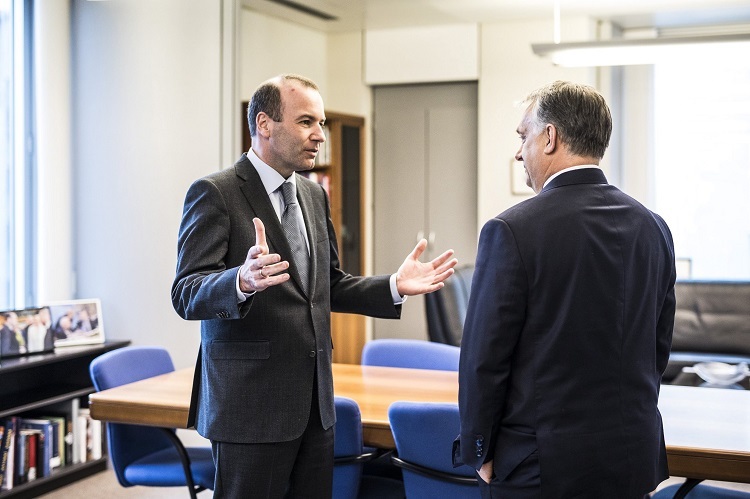 Manfred Weber sent Orbán a message, clearly stating that the PM must compromise on issues like regulation of foreign-funded NGOs and academic freedom as “We expect the Hungarian government to make a move towards their EU partners. Europe’s fundamental values must be respected by all”. Manfred Weber talking to Viktor Orbán. Image via Balázs Szecsõdi / PM’s Press Office via MTI. Weber is in a tough situation; he counts on Orban’s support for next year congress in Helsinki, but also won’t be able to win the leadership of the EPP without criticizing him. Taking a harsher stance, Sebastian Kurz supports the report and wouldn’t hesitate to launch the article 7 procedure. He also stated that if the report receives a two-thirds majority tomorrow, Fidesz should be ousted from the EPP. 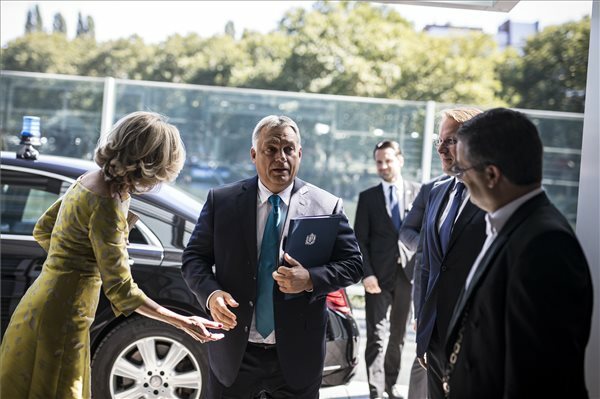 President of the Commission, Jean-Claude Juncker also thinks that sustaining Fidesz’s EPP membership could be problematic. Last week, leaders of the Hungarian Socialist party said: “we will not be traitors, voting against our country”. Yet, today they declared that Socialist MEPs will vote for the findings of the Sargentini report in the European Parliament because they see it as a document that condemns the Hungarian government. According to Polish Rzeczpospolita weekly newspaper, Polish members of EPP will also vote against Fidesz. The Italian coalition is still undecided. According to La Republica, the Five Star Movement would support the sanctions, but it could cause conflicts between the governing coalition due to Matteo Salvini and Orbán’s partnership. Viktor Orbán traveled to Strasbourg today to participate in the debate. Orbán regularly defends his government’s standpoint in the EP, but he used to have more time to express his thoughts. Usually, he was able to speak for 20 minutes before the debate, and after he had a chance to reflect. Therefore, in his video published in Strasbourg, he said the decision has been already made and his appearance in the Parliament won’t change the outcome. Interestingly, despite the growing popularity of the report, Judith Sargentini revealed yesterday that she won’t continue her political career. In an interview with HVG, she said she is fed up with arguments that lead to nowhere and will let others try to bring about change.